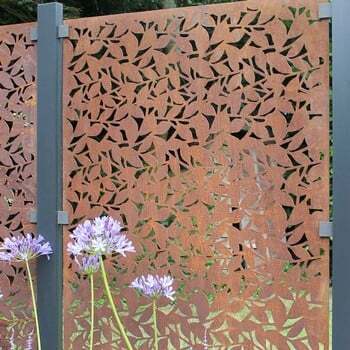 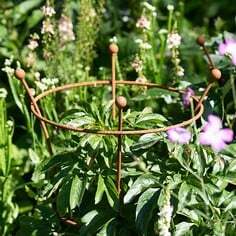 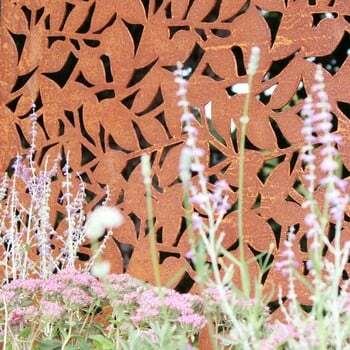 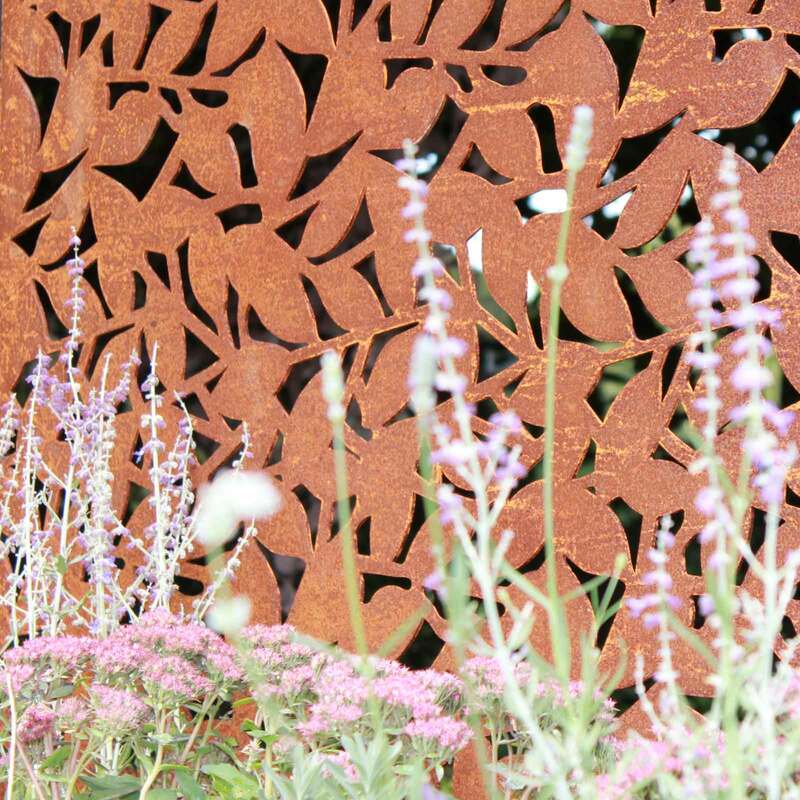 These Corten Steel Screens with stunning branches design are made of weathering steel, the panel designs are laser-cut and de-burred for consistency, precision and safety. 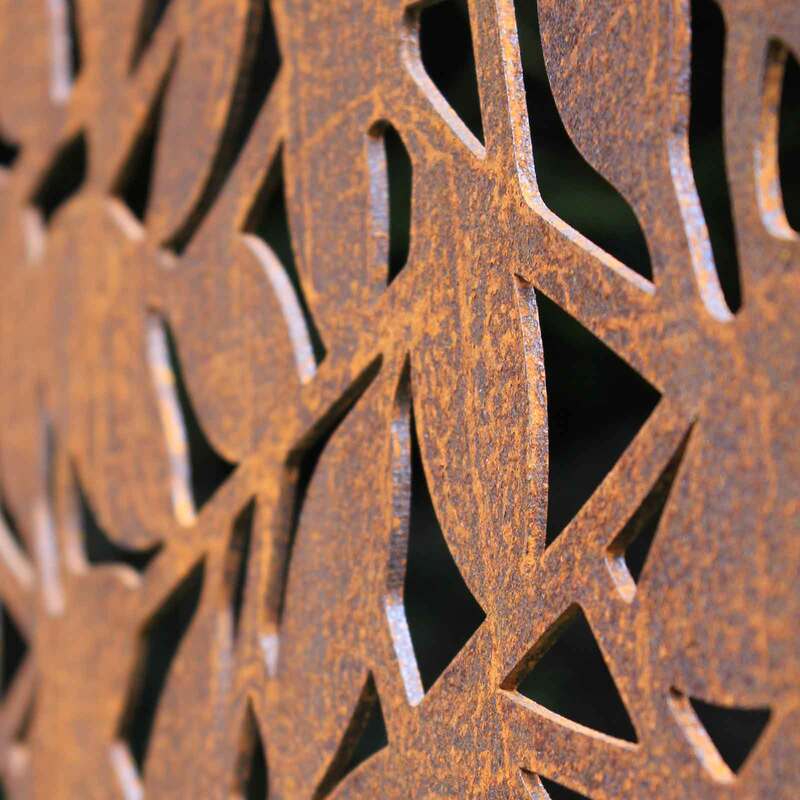 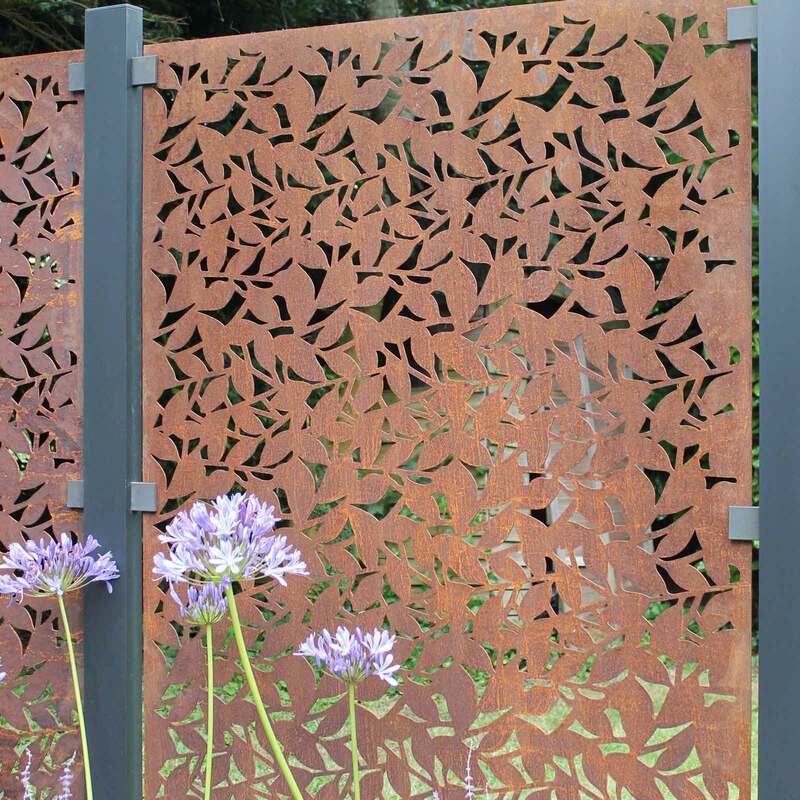 These Corten Steel Screens with stunning branches design are made of weathering corten steel, the panel designs are laser-cut and de-burred for consistency, precision and safety. 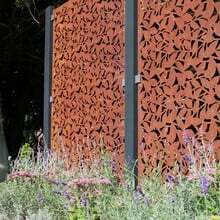 The 3mm Corten panels produce a rusted patina over time which begins with a quite bright orange which will gradually darken into a deep rich brown. 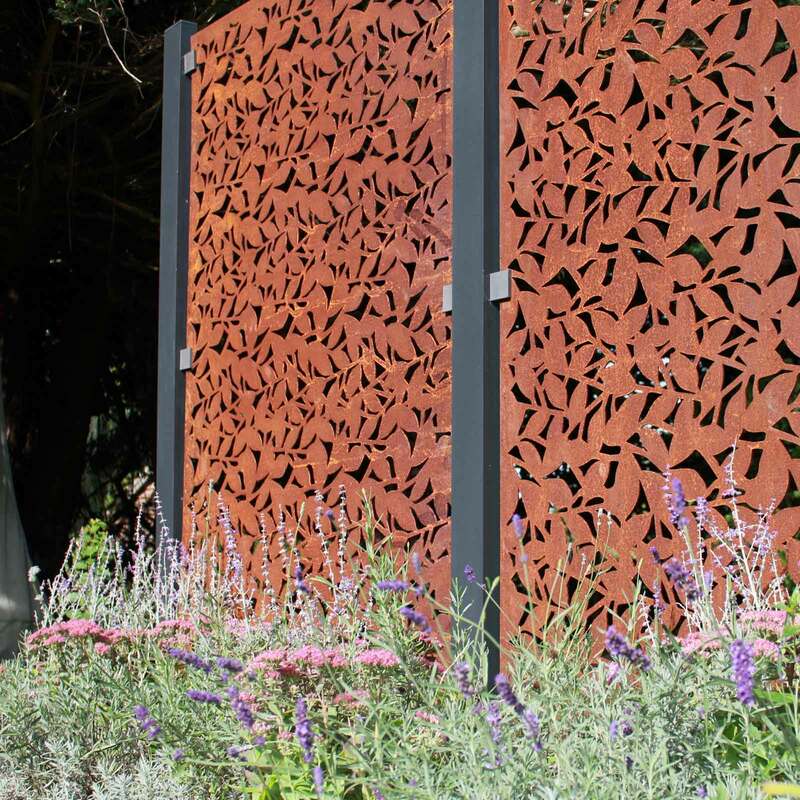 At the beginning of this weathering process the rust can run off and stain light terracing so we always suggest a simple french drain underneath the panel in this instance. The rusted surface of the screen will actually protect the steel below so you will have a product that has a long life time and is totally maintenace free. 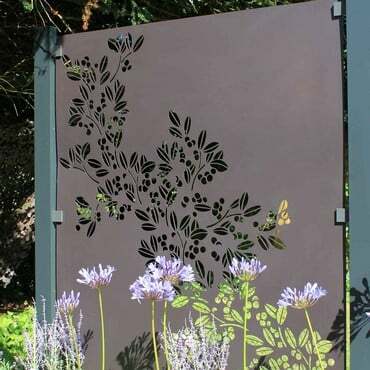 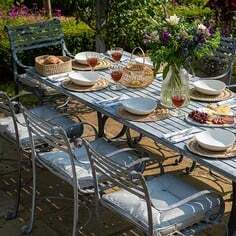 The branches design allows dappled sun and shade to pass through with 50% opacity, looking stunning in bright sunlight, in shade or lit up at night. The pattern resembles the silhouette seen when lying under a tree on a summer's day, looking up through the branches. 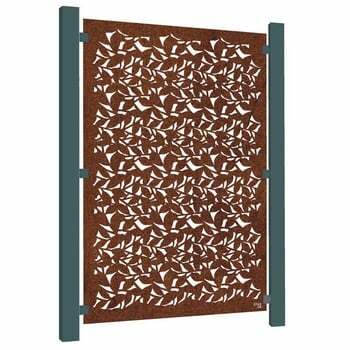 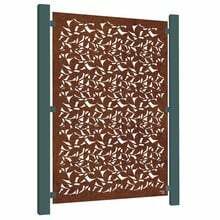 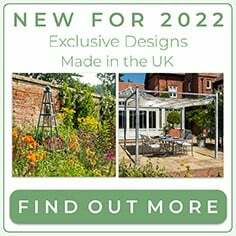 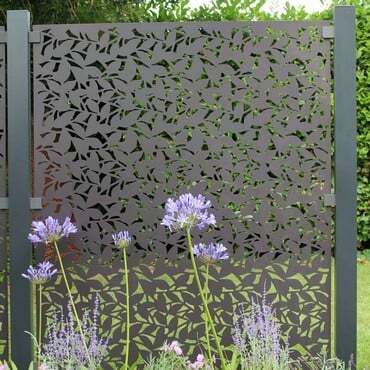 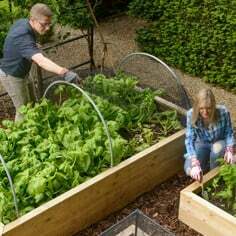 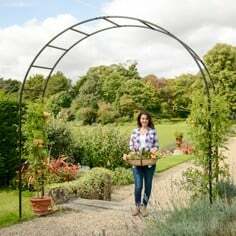 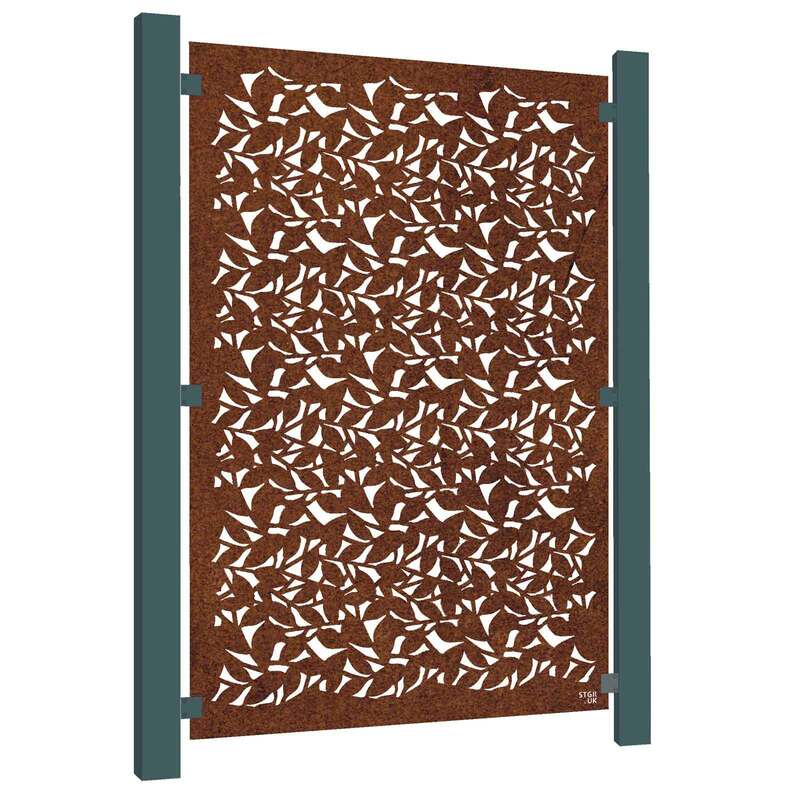 These screen panels are the perfect solution to a privacy issue, for dividing up your outside space or simply to make a stunning statement in the garden, they can also be used as a boundary fence panel. 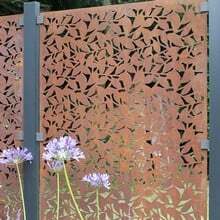 The screens are fixed by steel clamps to aluminium posts, which need to be set in concrete just like traditional fence posts. 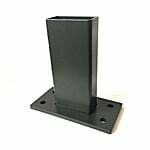 Aluminium is resistant to corrosion, and the inherent strength of the box-section construction means that these posts will stand the test of time. 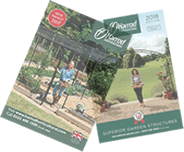 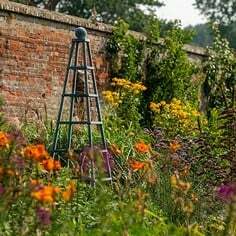 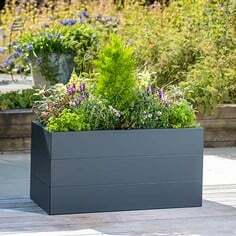 All posts, clamps and end caps are powder coated with Interpon 8019 Structura, providing an ultra-durable coating of weather resistance to colour change and ensures long term cosmetic and functional protection.